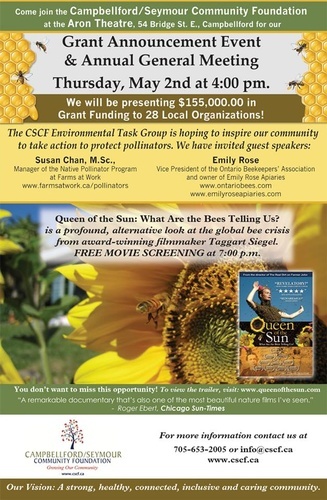 Following the Grant Announcement and Annual Meeting, you are invited to come back to the Aron Theatre at 7:00 p.m. to see the documentary film - Queen of the Sun: What are the bees telling us? Best of all - It's FREE! !